Have you ever been regretting spending too much time on social networks, where you only logged in for a second to find out when your friend’s birthday was? Apparently many people have, as there are a myriad of services offering to block all the ‘distraction URLs’ in your browser, or tracking exactly how much time you spend there. 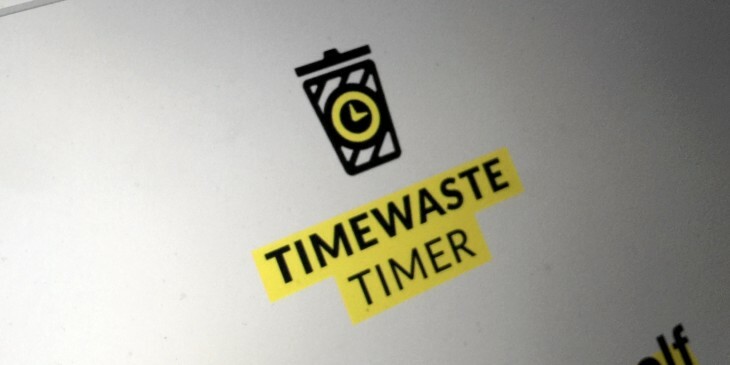 A newcomer in this family of anti-distraction tools is Timewaste Timer, a Chrome plugin and service that will take $1 from you every time you spend more than an hour on Facebook per day. All you need to do is install the extension and put $20 on a virtual deposit account. The product was put together in a couple of weeks, but it could be the basis of a much more sophisticated service, the Timer’s author Mike Ushakov told TNW. “A number of my friends advised me to just send all the money that we make on the project to the charity,” Ushakov said. “But instead we decided that we ourselves are the best charity for this case, as we are going to build more products to address the problem of over-consuming the digital content. “This product is a funny way to start a serious conversation. ‘Punishnent fee’ is a negative reinforcement and such things work only on a limited amount of people. To make it really massive we need to reward people for not wasting their lives on meaningless digital content with some tangible reward — even a small reward, like a cup of coffee. So if you want to help yourself to stay away from Facebook and in a fun and expensive way, head on to the service’s website. Newcomers can also try it for free to see if it works for them using the code NOMORETIMEWASTING.